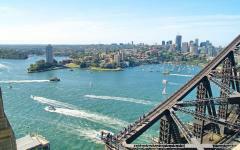 Just because you don’t have a heap of time, doesn’t mean you should miss out on the best of Australia. 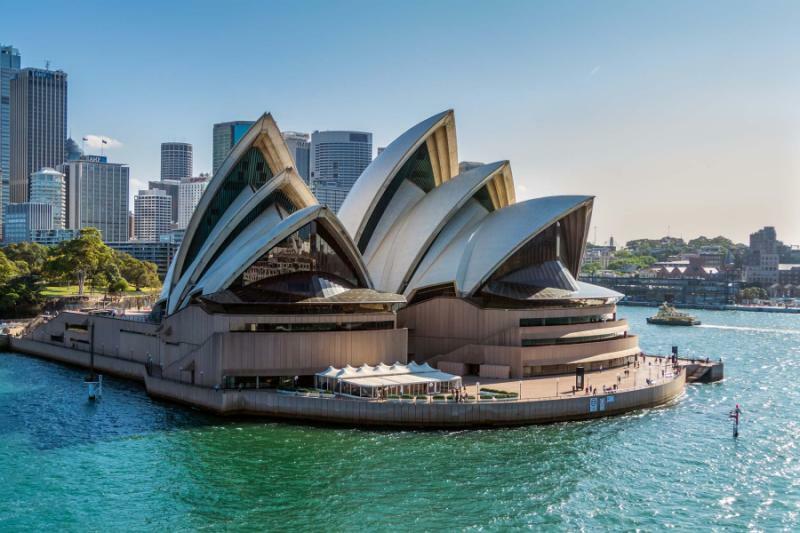 From the vibrant harbor city of Sydney to the UNESCO World Heritage-listed Blue Mountains, Great Barrier Reef and Kuranda Rainforest, this eight-day Express Australia Tour will give you a taste of what the country has to offer. Climb the iconic Harbour Bridge, see cascading waterfalls, stroll along white beaches, explore underwater gardens, take a historic train through a tropical rainforest, and discover a rich indigenous culture. 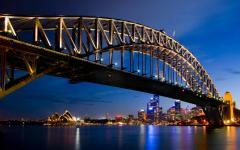 Australia is calling you to join her and there are an infinite number of reasons to answer. 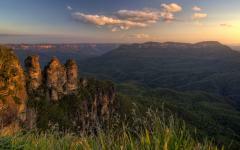 Australia is a country of amazing contrasts and beauty. In parts it is cosmopolitan, progressive and modern with world-class restaurants, bars, cutting-edge architecture and a vibrant city vibe. 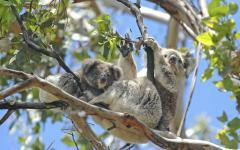 But travel awhile and urban living gives way to eucalyptus-covered mountains, dazzling waterfalls, pristine beaches, strange critters and more than one breathtaking World Heritage Site. In history, too, the nation is rich. 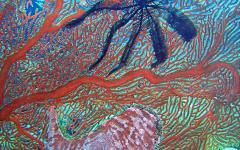 Its indigenous people have walked its lands for more than 10,000 years, while European settlement heralded a more recent — and often dark — addition to the fiber of its existence. 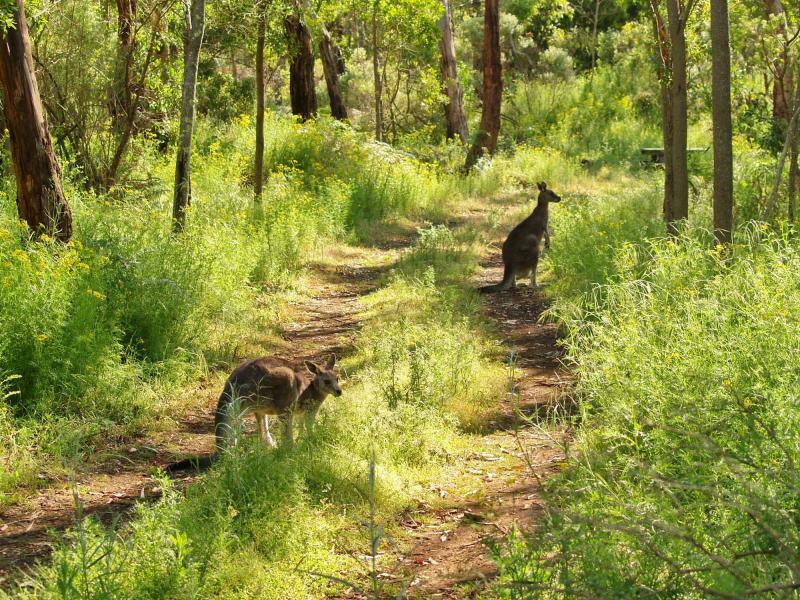 See all of these elements at play and form memories you’ll keep for a lifetime on an express eight-day tour of Australia. 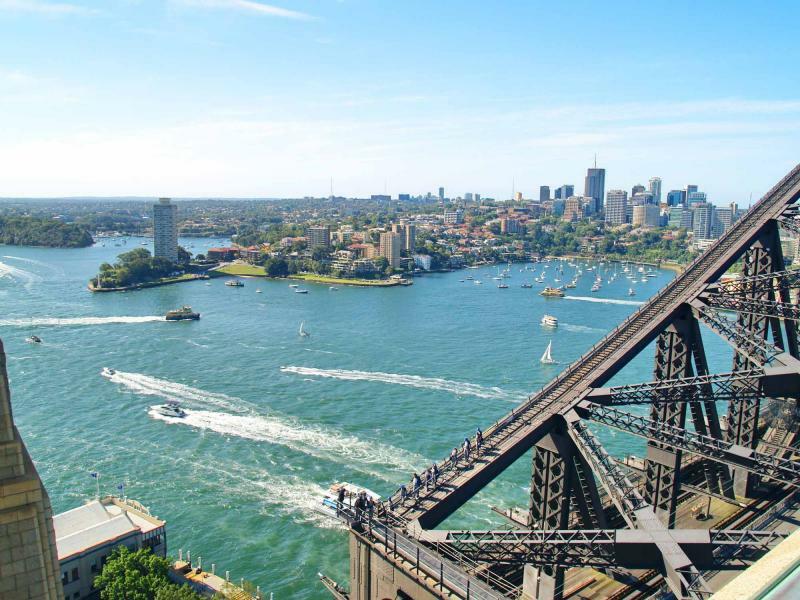 Begin your journey in the harbor city of Sydney, where you’ll get to cruise the harbor and peruse the iconic opera house, take a tour of the historic Rocks district and (if you’re up to it) climb the boomerang-shaped Harbour Bridge for sweeping views of the city and its surrounds. 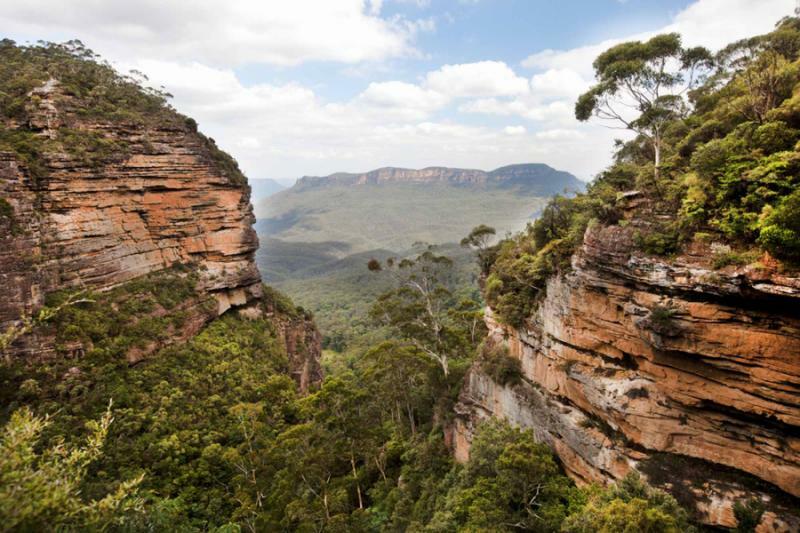 Then head west to the realm of the Heritage-listed Blue Mountains where vast sapphire-hued canyons and valleys are joined by thundering waterfalls and native wildlife. 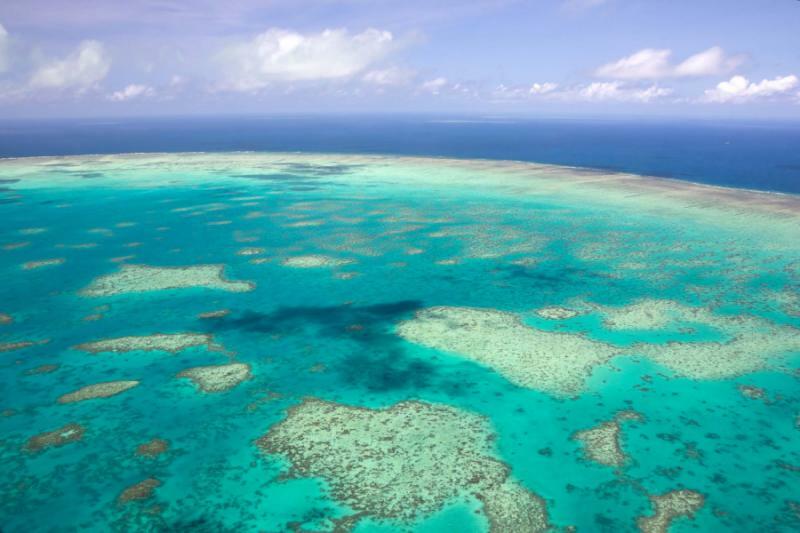 The second part of your trip will see you head north to tropical Queensland. Settle in the idyllic waterside city of Cairns and drink in a slower pace of life. Indulge in fresh seafood and refreshing cocktails, stroll pristine white-sand beaches, explore the UNESCO World Heritage-listed Great Barrier Reef on a full-day snorkeling and diving adventure, catch a historic train through a tropical rainforest, visit a butterfly aviary, take a gondola ride over the lush canopies of a UNESCO World Heritage-listed rainforest and discover the rich indigenous culture of the area through traditional dance performances, story telling and demonstrations. Climb on board your plane and prepare for your adventure to begin. Don’t worry, the flight doesn’t take two days, but Australia is several hours ahead of the US, so you’ll travel in time (you’ll gain it back on your return flight). Sing, “good morning!” to Australia’s largest city and listen as it sings back with sparkling harbor views, blue skies and a vibrant metropolitan atmosphere. Happily situated on a natural inlet, surrounded by pretty headlands and boasting one of the most spectacular city skylines in the world, Sydney is the perfect place to get acquainted with the land Down Under. 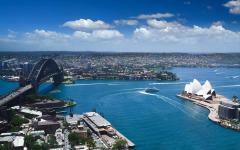 Don’t waste any time, and, after checking into your hotel, scamper down to Circular Quay – a fabulous city harbor and wharf – to board a Matilda Cruise vessel. There’s hardly a better way to view the city than from the water, so make the most of this unique position as you journey around Sydney’s sensational harbor. See the iconic Sydney Opera House, the boomerang-shaped Harbour Bridge, the smiling face of Luna Park (a historic amusement park), far-off headlands, and Fort Denison (an island which served as a prison). Upon your return, meet a local guide and take a trip back in time as you tour the historic Rocks district. The area, which was named after its original sandstone buildings, was founded in the 18th century, shortly after the British settled Australia. 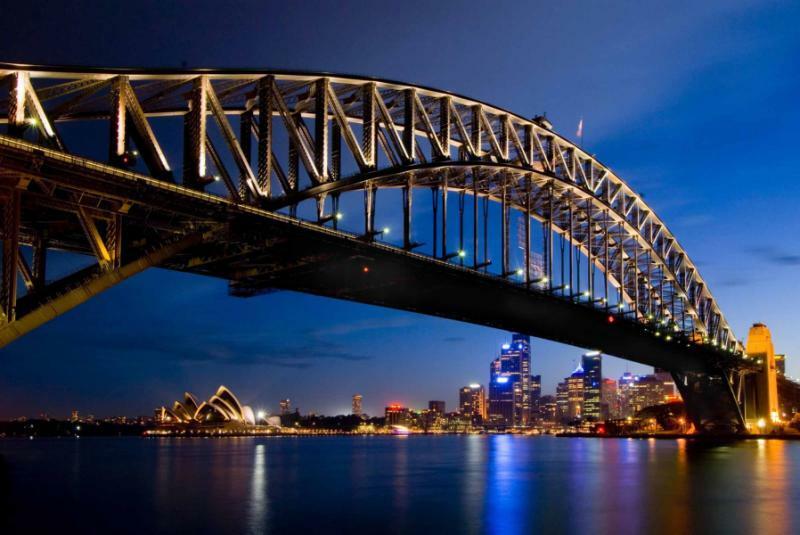 As such, its tumultuous history involves intrigue, prostitution, crime, the bubonic plague, the building of the Harbour Bridge, threat of demolition, and a modern history painted with culture, art and tourism. Listen to tales of the dangerous Rocks Push Gang, convict labor, executions and visit some of the 100 heritage sites that remain to this day. 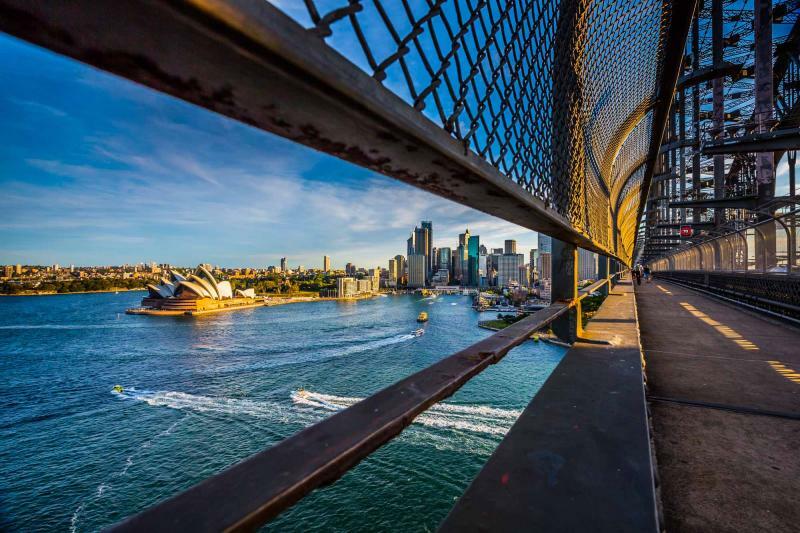 If you’re up for a challenge and would like to see Sydney from yet another angle, you can follow your tour with the famous Sydney BridgeClimb. 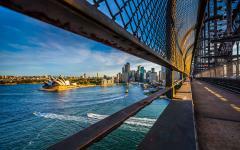 That is, you’ll walk on grated catwalks and climb ladders until you reach Harbour Bridge’s famous arch. From here you’ll follow your guide to the summit, where panoramic views of the city will greet you. Take a few moments to breathe it in, celebrate with your group and have some snapshots taken, before crossing the center of the bridge and making your way down the other side. Leave city life behind and prepare to see the wonder that lies just 80 kilometers west. Here, fragrant eucalyptus trees and verdant ferns, palms, and moss make a home among cavernous gorges, canyons and thundering waterfalls. 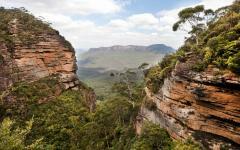 The UNESCO World Heritage-listed area is known as the Blue Mountains and it cannot be missed. 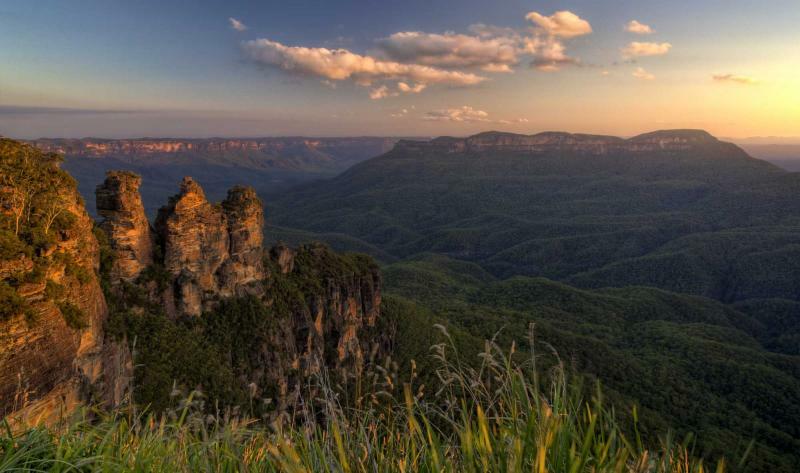 Explore the area on your own, stopping at Echo Point, where the famous Three Sisters sandstone rock formation watches a valley steeped in blue. 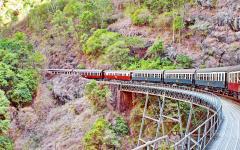 Then, descend into the rainforest either by stairs, or the gentle (but still the world’s steepest) Scenic Railway. 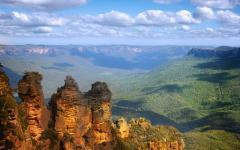 Visit the charming village of Leura, where antique boutiques and art galleries abound. 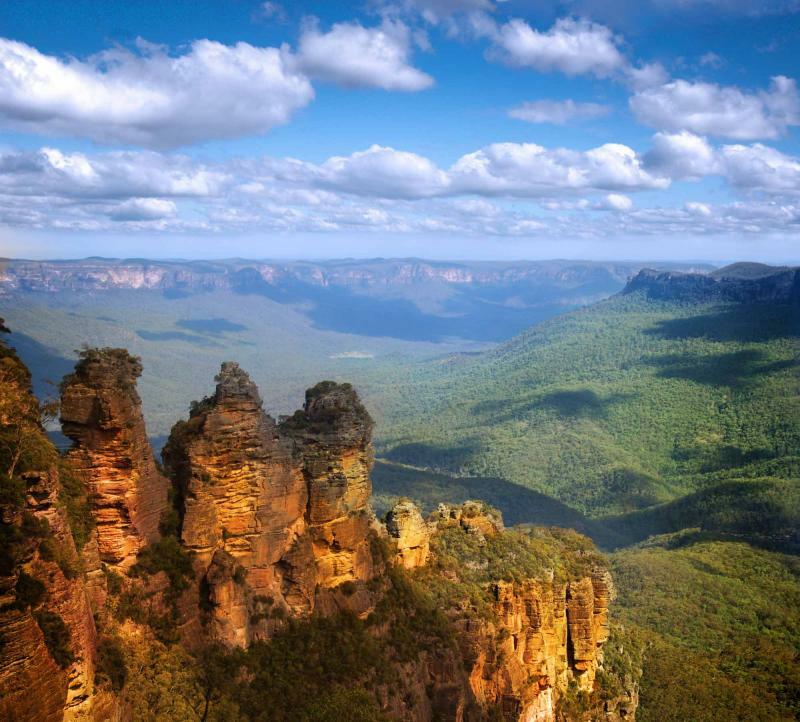 Or visit the town of Katoomba, named after a stunning waterfall, where you can visit boutiques, coffee shops and historic pubs. If you’d like a more tailored adventure, climb on board a four-wheel drive and experience the best of the rainforest, mountain villages and breathtaking lookouts on a small group tour. Your guide will take you to photogenic areas, acquaint you with the history and legends of the land and provide a delicious lunch. Change the scenery and weather to something slightly more tropical as you take a late morning flight to the northern city of Cairns. This ocean-side paradise is not only positioned between the Atherton Tableland and The Great Barrier Reef, but also enjoys a particularly sophisticated dining and bar scene, a vibrant esplanade (complete with a swimming lagoon) and more than one gallery worth seeing. After settling into your hotel, spend the day as you like. Busy yourself by walking along the Esplanade boardwalk and admire the views or explore the local art galleries and attractions. One that might be worth seeing is the Cairns Wildlife Dome, which recreates a rainforest environment under a giant glass dome where you can interact with local critters. If you’d prefer to take a more relaxed approach, make the most of the easygoing local lifestyle with a cocktail at a waterfront bar or by heading north to Palm Cove Beach and lounging on the sand to the tune of lapping waves. 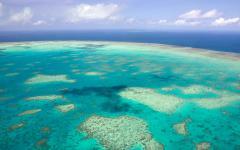 Leave land for a day and employ your time by exploring the fascinating underwater world of the Great Barrier Reef. 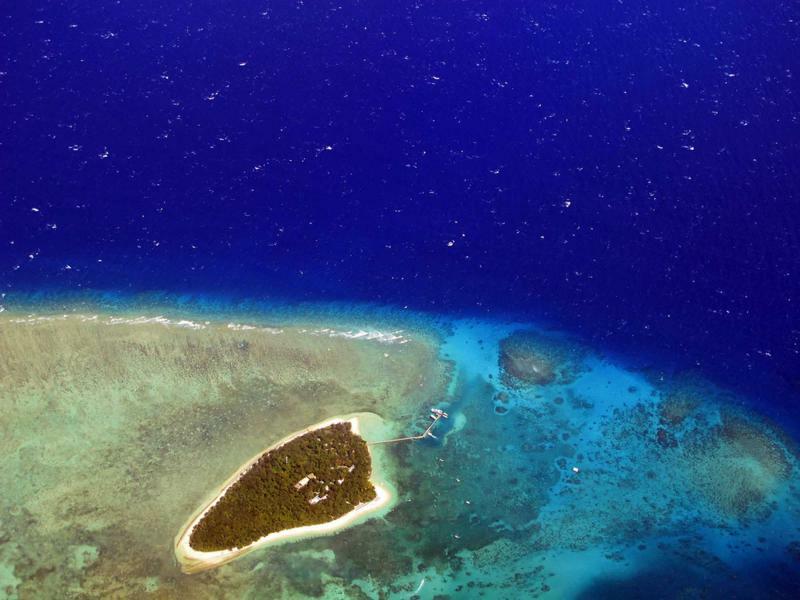 The UNESCO World Heritage Site and, coincidentally, one of the seven natural wonders of the world, is a vibrant garden of coral, colorful sea life and crystal clear waters. 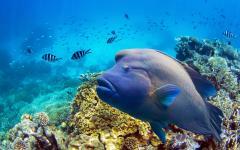 It spans some 133,000 miles and boasts more than 1,500 different species of fish. 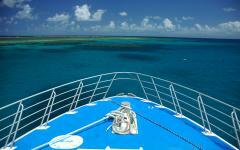 What’s more, its waters are warm, its palm-fringed beaches white and the way to get there is easy. 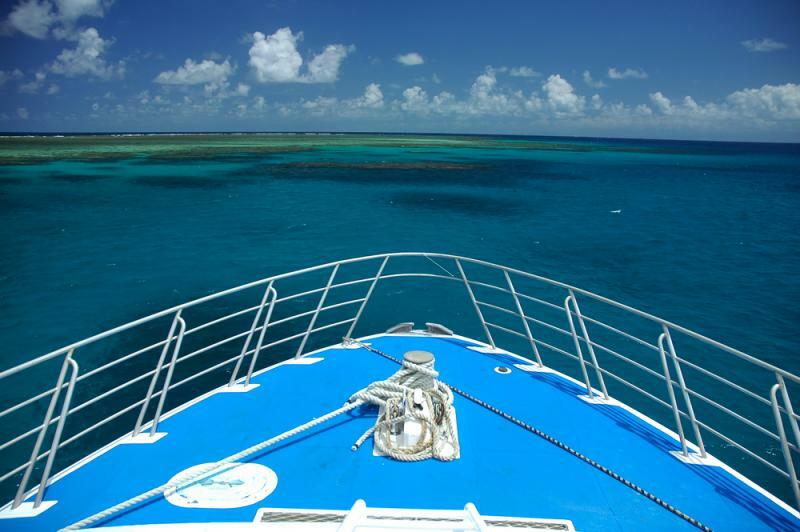 Begin by boarding a catamaran and sailing to the breathtaking outer barrier reef on a full-day cruise. 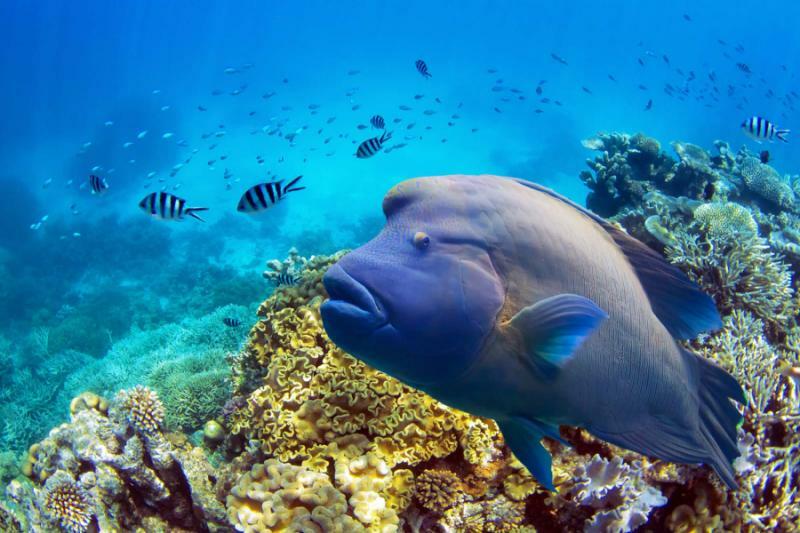 Away from the crowds, among some of the area’s most spectacular coral, seagrass and marine life, you will find true serenity and an unforgettable spot or two. 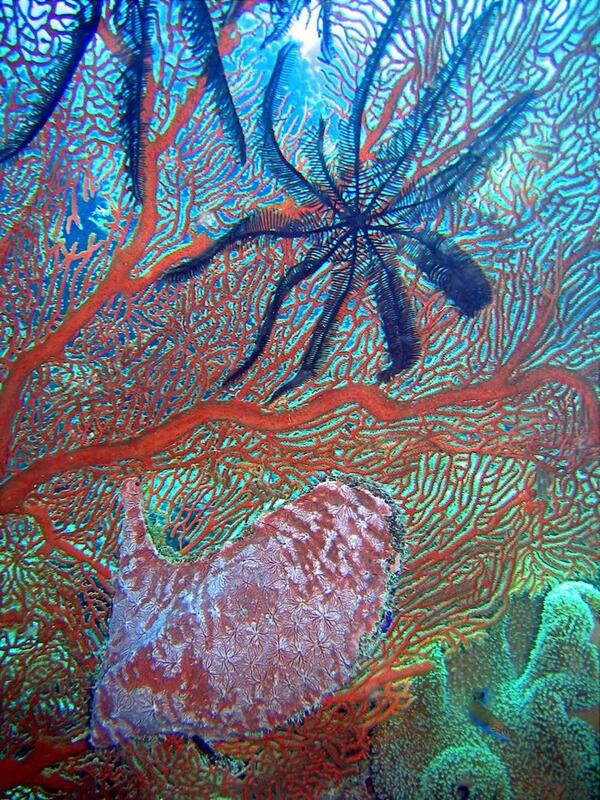 Snorkel or dive to discover hidden realms bursting with color and life. Watch schools of thousands of little fish form unbelievable patterns, make friends with the braver — and more curious — of the sea’s inhabitants and marvel at the flamboyant contrasts of the reef itself. 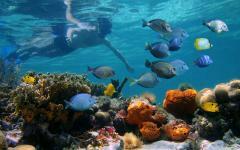 Keep an eye out for sea turtles, dolphins and clownfish, which make the occasional appearance. 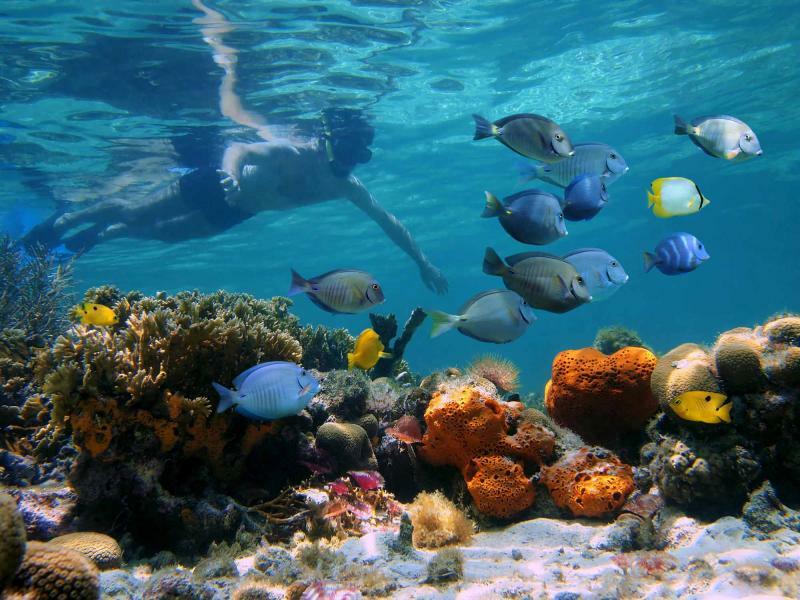 In between snorkeling destinations enjoy the sea breeze, remarkable views, a refreshing lunch and the knowledgeable guides who’ll pepper you with information about the area. Upon your return, make the most of the warm tropical evening with dinner at Ochre Restaurant, which specializes in seafood as well as exciting native and bush cuisine. 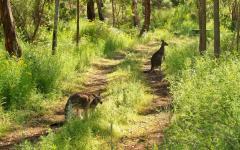 Run your palate past the likes of crocodile, kangaroo and wattle seed for a real taste of Australia. More than ten thousand years of aboriginal history and culture surround the beautiful rainforest that frames the township of Kuranda. Aside from its indigenous roots, the tropical haven is home to towering trees, thickets of lush ferns and palms, steep ravines and cascading waterfalls. 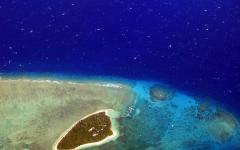 It is a vibrant, dense paradise and a sight not to be missed. 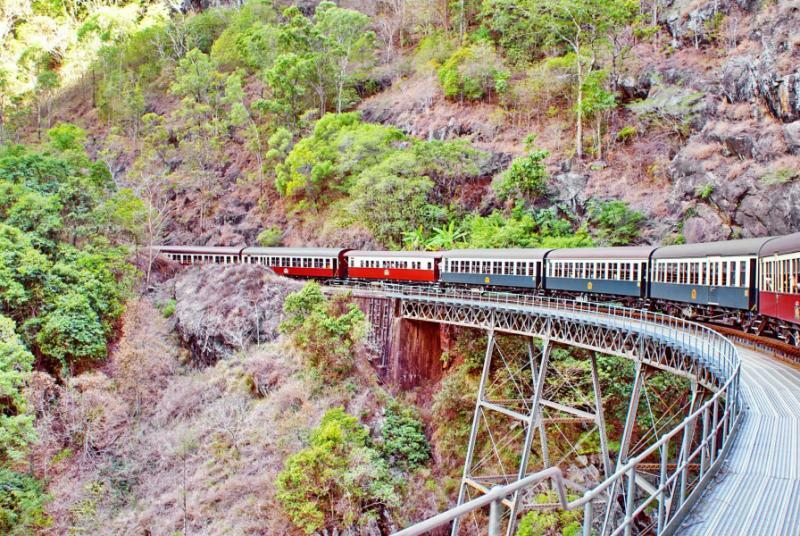 The 120-year-old Kuranda Scenic Railway will give you your fist introduction to the spectacular area as you board a historic train and make your way through hand-carved tunnels, over bridges — including one that runs alongside a mountain and past a thundering waterfall — to the rainforest village of Kuranda. 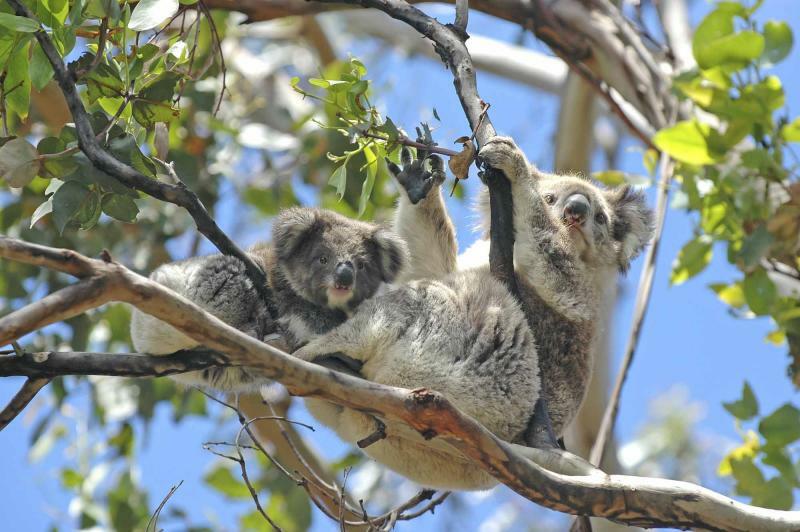 Here you can enjoy a cup of coffee, visit the Australian Butterfly Sanctuary or pat some of the country’s cutest inhabitants at the Kuranda Koala Gardens. Your rainforest adventure will then continue high above the canopies, as you glide over the treetops in a Skyrail gondola. Admire the lush greenery beneath you and the spectacular views around you, while making your way to lower ground. 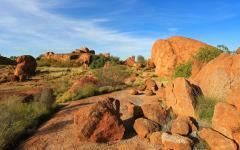 Finally visit the Tjapukai Aboriginal Cultural Park to learn about the indigenous people of the area. 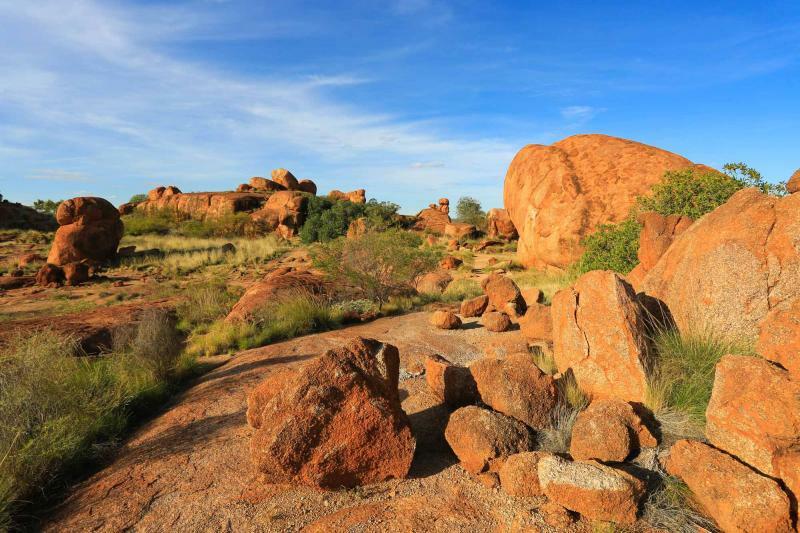 Listen to ancient legends, watch bush medicine demonstrations, try your hand at playing the didgeridoo or throwing a boomerang and witness a traditional dance performance. As your Australian vacation comes to a close, whisper a quiet goodbye to the sands and waves of the coast, knowing that they’ll stay with your forever, as you make your way home via Sydney.